Florian Raunig is an Austrian career diplomat having served many years in South East Europe. 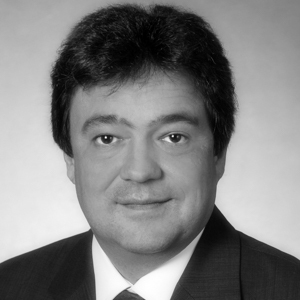 He served as Austrian Ambassador to Montenegro (2007-2009) and to Albania (2009-2013). From 2013 Florian to 2016 he served he headed the OSCE Presence in Albania. Having started his career 1996 in Elbasan as a University lecturer he joined the OSCE Presence in Albania in 1997, opening the Field Offices in Shkodra and Bajram Curri. Florian later reopened the Austrian Development Cooperation Office in Tirana and opened the Office in Skopje (1998-2000). From 2000-2002 he was programme manager for local development at the Delegation of the European Commission in Tirana. In 2002 Florian entered the Federal Ministry of Foreign Affairs, serving in Vienna and Ljubljana. In 2004 he joined the newly founded Austrian Development Agency. He graduated in Political Science and Philosophy from the University of Vienna (Mag. phil.) and holds the title of a Doctor Honoris Causa from the POLIS University in Tirana. Florian is honorary citizen of the Commune of Bushat and was awarded the Medal of Gratitude by the President of Albania. Besides his mother tongue German, he speaks Albanian, English, French, Italian and Montenegrin. Edlira Çaushi served as the director and, then, chief of the restoration section for conservation of artworks in the Institute of Cultural Monuments of Albania. For 8 years she was charged with the direction of the Center for Conservation and Restoration in the Institute of Cultural Monuments. Currently, she is member of the National Council of the Restorations, member of the Scientific Council in the Institute of Monuments, member of the National Commission for the Evaluation of Cultural Assets and member of the scientific committee for mural paint of ICOMOS. 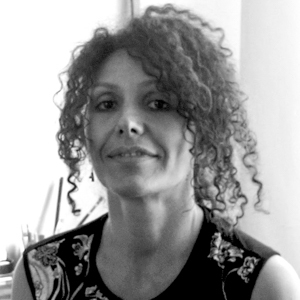 Edlira actually is a professor in the department of Archaeology and Culture Heritage at Tirana University, focusing in culture heritage both in research and teaching. Researcher of vernacular architecture, restorer engineer, professor, academician. He followed the studies at the Faculty of Engineering at University of Tirana, where was graduated as civil engineer (1962). 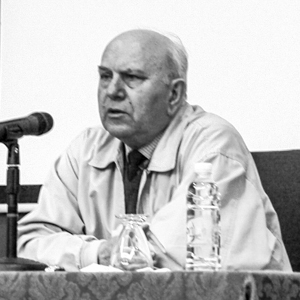 During the years 1962-1965, he was scientific employee of Material Culture Group at the Institute of History and Linguistics; during the years 1965-1993 and 1997 onwards, Emin Riza was part of the scientific staff and a restorer specialist at the Institute of Cultural Monuments, where he has performed management duties as head of division, deputy director (1985-1988) and director (1988-1993); during the years 1993-1997, he has worked as scientific secretary of the Academy of Sciences of Albania and editor of the journal “Studia Albanica”. During 2009-2012, he was the Head of the Department of Social Sciences and Albanological of AAS. He has worked in the fields of restoration and study of monuments of architecture, mainly in the Albanian Vernacular House. He has conducted activities about tracking and putting of the monuments under protection, their study and restoration; given assistance through the publication of articles and monographs. To date he has published 16 monographs (4 as coauthor), an album and two university textbooks (co-author), and 90 articles in journals and scientific publications. Karen Knight has worked in the heritage and arts sector for over 30 years. Following a degree in art history and post graduate studies in museology she worked as a social historian recording oral history in Birmingham. Her career moved into the management of regional museums and directing services based on access to collections, staff and buildings. Karen was appointed to the Government Task Force asked to prepare “Renaissance in the Regions”, a report on the future of regional museums throughout the UK. 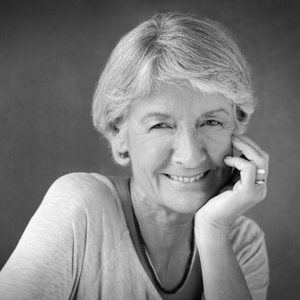 She was a founding member of the working group which initiated the Clore Leadership Programme and still runs “Flotsam”, an informal forum for discussions relating to arts and heritage. As a mentor commissioned by the Heritage Lottery Fund, Karen now advises major UK heritage projects on interpretation, access and the management of change. In a voluntary role Karen works with a number of church buildings trusts in East Anglia. In Greece she supports collections management with the Goulandris Natural History Museum; in Serbia the Creative Mentorship programme and Karagujevic Museum; and in Albania works with CHwB and HWB. She also supports a programme of oral history recording around Butrint, encouraging fresh interpretation of archaeological sites and involving local communities in their heritage. Lorenc Bejko is a professor of Archaeology and Heritage Management at the University of Tirana. He has an MA in Archaeology from the Boston University and a PhD from the Academy of Sciences of Albania. He is specialized in prehistoric archaeology with a special interest in the Bronze and Iron Ages of Albania and the neighboring regions. His interests include methods and theory in Archaeology, social and comparative studies in issues of early complex societies, archaeological conservation, heritage and contemporary society, landscape archaeology, archaeological education. He has conducted extensive fieldwork in many regions of Albania and directed/co-directed over 7 multi disciplinary projects! 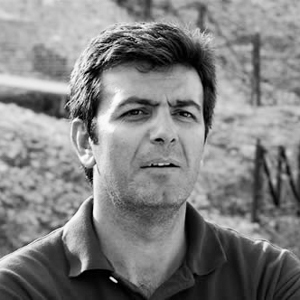 Bejko has worked for the Institute of Archaeology of the Albanian Academy of Sciences, has served as director of the Albanian Rescue Archaeology Unit, director of the Institute of Cultural Monuments of the Albanian Ministry of Culture, and since 2008 teaches at the University of Tirana. Is member of many professional organizations among which, corresponding member of the Archaeological Institute of America and member of the ICOMOS International Scientific Committee on Archaeological Heritage Management, member of the Scientific Council of the UNESCO Office in Venice, President of the Albanian Archaeological Society.